When a blended family comes together, it can be difficult at first. But it doesn’t have to always be that way. 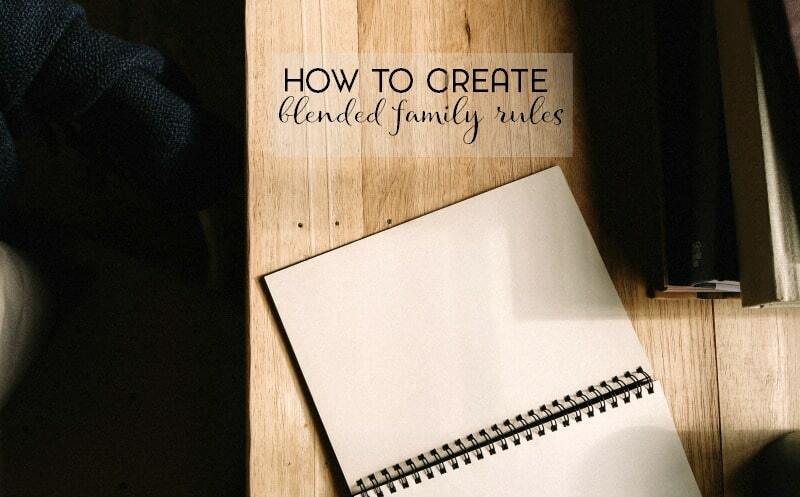 Here’s how to create blended family rules that everyone can agree on. It didn’t take long for Kyle and I to realize what we had together. And by that, I mean that it didn’t take long for either of us to realize that we wanted each other in our lives. What once was individual futures, was now our future together. What was once the rest of my life, quickly became our lifetime together. Point being, we knew what we had from early on in our relationship. And that also meant navigating our combined lives together as a blended family. It meant setting blended family rules and guidelines. This is still ongoing, but for the most part I think we’re fairly solid. 2. Once you get that all hashed out with your spouse, sit down and share these expectations with the children. Call a family meeting and maintain order by having a talking stick where only the person holding the item can speak so there’s no shouting over one another. If the children pose questions that you have not discussed with your spouse and you don’t seem to be on the same page, don’t hash it out in front of the children. Let them know you’ll come back to that after discussing it further in private with one another. This way the children are not influencing or putting a wedge between the two parents. Plus they will see that you are committed to being a unit and all decisions must go through the two of you. 3. Set the consequences for breaking the rules, and stick to them. This should also be shared in the family meeting so everyone not only knows what’s expected of them, but also what the consequences will be if they break the rules. Consequences might look different for each family and really each child. Taking away the TV from a child who isn’t that interested in watching TV obviously isn’t going to be a good idea, so letting the children know a list of possible consequences and that the consequence will fit the “crime” and the offender will make it clear. 4. Understand that this likely isn’t going to be met with open arms, especially with older children. You might hear, “You’re not my real parent!” a lot. Being ready to respond to that will help. Don’t make it a power struggle, though. One quick statement about how that makes you feel and leaving it at that and then talking to your spouse when you can is the best way to handle the backlash. Your spouse or significant other will need to express to the children that he expects you to be treated with respect. All in all, when it comes to setting rules in the family it’s important to spell everything out and keep open lines of communication. Be flexible, but firm. And, of course, leave room for changes. There’s no saying that you have to break the rules but at least be flexible enough to bend them or change them when needed. Family rules aren’t limited to blended families, of course. 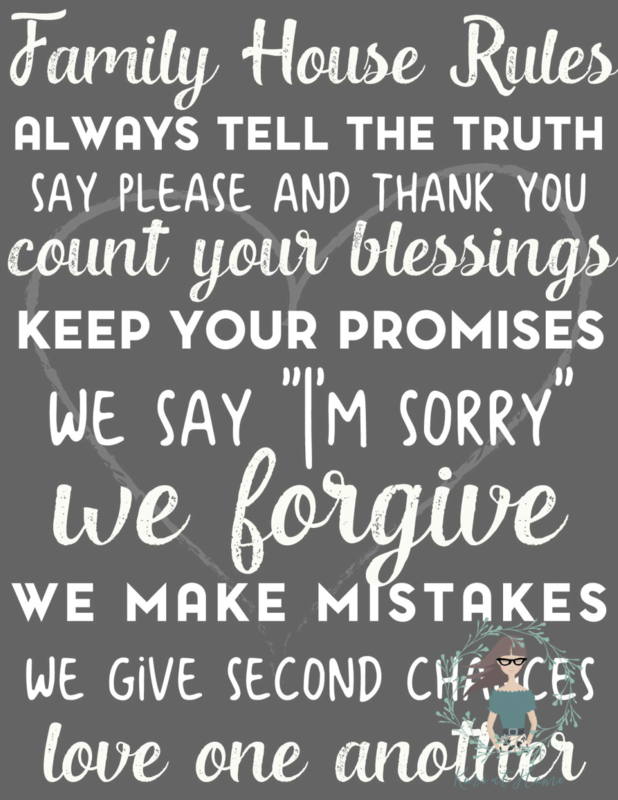 I think those are family rules to agree on, don’t you? Blended families have such a unique dynamic about them. You get this couple that came together with one or both having children from a previous relationship. The couple falls in love and dreams of their children loving each other. But here you have these children who came from two different broken homes coming together having all of these new siblings. How do you make that work? How do you become a team and turn these strangers into a family that loves, or at least respects one another? It’s not always easy, but here are some tips on how you can make your blended family a team. 1. Everyone in the family must have value. If anyone feels that they are expendable, then you will not build an effective team. This person is not going to be interested in being a part of the new family. 2. There should be no judging of opinions. Different opinions don’t mean wrong opinions, it just means different. If you understand this, then it will be easier to build your team. Even better still, making sure others don’t judge by making it a no-judge zone will go a long way. 3. Differences are an opportunity to grow. These different opinions need to be embraced and used as a chance to grow and change the family unit. So you need to be willing to listen and to try to make things work for the betterment of the family unit. 4. No irrational thinking. Parents must always have reasonable thoughts to propel the family forward. Don’t make unnecessary expectations on members of the family, like expecting everyone to instantly love one another. Work on getting them to tolerate each other first. 5. Everyone needs to be involved in the resolution process. When planning the family vacation, everyone in the family should be involved in that process – no matter how much conflict may arise from it. This is a great chance to remind everyone that we don’t judge each other’s thoughts and everyone is valuable. 6. Cooperation is essential. Don’t make it a dictatorship. Lead by example – it’s NOT my way or the highway. The moment you stop cooperating is the moment you lose all control. 7. Be willing to deal with uncomfortable circumstances in order to reach the end goal of a nicely blended family. It will be worth it all in the end. 8. Be trustworthy. Parents must create a space of trust. The children are going to be skeptical of everything at first. You’ll need to show them you can be trusted, and that you are willing and able to trust your children as well. 9. Do not manipulate. Persuasion always works better than manipulation. 10. Group consensus is important. Your family is not good by just listening to one person. Everyone must have a say and come to an agreement or compromise on matters. If you follow these steps to team building, then you shouldn’t have a problem creating a happy blended family. We might not be talking Brady Bunch, but something that at least functions and works is the goal here. It is very possible if you remember these ten steps. Creating blended family rules can be difficult, at first, and you may not get it right the first time. And that’s okay. Parenting is not an easy job and step and co parenting isn’t any different in that aspect. Step and co parenting comes with it’s own set of challenges. Sometimes it will be difficult and sometimes you may be tempted to just give in. And sometimes you may have to compromise on things that you weren’t willing to compromise on in the past. But, once you have established a basic set of family rules for your blended family, everything else will start to fall into place. Absolutely. I don’t think, that we as adults, consider children’s emotions nearly as much as we should and how much they’re truly aware of.